The Mahikeng Local Municipality has launched an urgent Limpopo High Court bid to have VBS Mutual Bank liquidated as it attempts to recover R84m the municipality invested with the now collapsed bank. Court papers have also revealed that the lion's share of the investment, R69m, did not belong to the municipality of the North West capital. The R69.1m was a duplicate payment from National Treasury for Mahikeng's equitable share. The municipality invested nearly R90m in VBS between August and December 2017. Attempts by the municipality to withdraw these funds between November 2017 and February 2018 were unsuccessful. Current acting municipal manager for Mahikeng, Mooketsi Molamu, filed a founding affidavit on October 18 in which he set out the reasons for wanting VBS liquidated. The application comes in the wake of a damning forensic investigation report, authored by advocate Terry Motau and Werksmans attorneys, which detailed "wide-scale" looting at the bank over two years. Motau's report found that nearly R2bn was siphoned out of the bank which was placed under curatorship by the South African Reserve Bank (SARB) in March this year. He recommended that the bank be liquidated and a raft of charges be brought against more than 50 individuals who allegedly benefited from the fraud scheme. Mahikeng's R84m is among nearly R1.5bn invested by around 15 ANC-led municipalities in the North West and Limpopo. It is the first municipality to launch court proceedings to recover funds which the curator, Anoosh Rooplal, and the SARB have not been able to pay back to municipalities due to the massive fraud at the bank. Molamu confirmed that former municipal manager Thabo Mokwena was suspended in August this year after his role in the VSB scandal emerged. The municipality has since appointed its own team of lawyers, Scholtz Attorneys in Potchefstroom, to conduct an investigation into Mokwena's conduct. Their interim report "largely conformed" to Motau's findings, Molamu's affidavit states. The disciplinary investigation started in September 2018 and an interim report was presented to council on October 4. According to the affidavit, the investigation found that Mokwena made a "material misrepresentation of facts and also misled council" in terms of the VBS investment. The investment was also made in contravention of adopted council policies, municipal investment regulations and Mokwena's conduct was also in violation of regulations because he did not exercise due care. "Mokwena was convinced to make this investment with VBS pursuant to a strategic planning session which Mahikeng Muni held from 13 to 17 March 2017 at the Bona Bona Game Lodge, situated between Klerksdorp and Wolmaranstad," Molamu stated. 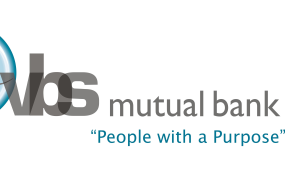 "It is my understanding that VBS was invited to do a presentation of its model of banking facilities, cash management and investment at the SPS (strategic planning session). The aforementioned is evident from a report which Mokwena presented to council in June 2018 in relation to Mahikeng's investment with VBS." In June this year, shortly after the first VBS scandal revelations, Mokwena was quoted by African News Agency as saying that there was nothing wrong with Mahikeng's investment in VBS. At the time, he also denied the R84m figure, saying the municipality had only invested R25m. "It is false it is misplaced, it is fabricated - a person needs to be charged for saying that," he was reported to have said. Mokwena was also forced to account for spending R96 000 a month to rent a mobile toilet that was meant to be placed at a local taxi rank when councillors demanded answers. Executive mayor Betty Diakanyo survived a motion of no confidence in August, but opposition parties have vowed to get rid of her. According to the 2016/2017 annual report and the mid-term budget expenditure report available on Mahikeng's website, service delivery in the City is lamentable. Earlier this year, protests erupted over service delivery in Mahikeng. 23.9% (16 795) of households have no access to electricity. Between June and November 2016 the municipality spent R58m on infrastructure development. According to its own reports, none of this was spent on bulk services such as water or electricity. A community survey in 2016 showed that Mahikeng's population was around 315 000, of which just under half, 41%, were living in poverty. The 2011 Census put the poverty figure at 42% with a population of roughly 290 000.